We’ve taken you through the main runners and riders for the Gfinity FIFA Series February, but who from the rest of the pack could cause a shock in London? Dylan ‘DullenMike’ Neuhausen surprised us all with a victory at the LQE last weekend in Bucharest, and with the players more accustomed to FIFA 19 four months after release, we may see some quality match ups in London. These are the dark horses who could to some damage at the Gfinity Arena this weekend. Someone who has just burst onto the scene is Cina ‘LostInTheWavesz’ Hosseindjani. 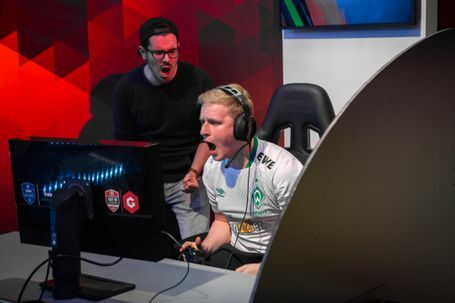 The German reached the last console semi-finals of the FUT Champions Cup in January, announcing himself as a contender on the PS4 side of the draw. ‘Wavesz’ went down to FIFA eWorld Cup runner-up Stefano Pinna, but now with big game experience behind him, the Envy player could cause a shock in London. Always a match for any opponent, Erhan ‘DrErhano’ Kayman is a former German champion on both FIFA and Pro Evolution Soccer. His PES days may be behind him, but Erhano has had no serious success since his German Championship victory on FIFA 16, and needs go deep at a tournament to show he can still compete with the big boys. An undefeated Weekend League saw him qualify for the FUT Champions Cup in January, and if he can find some of that form he will be a threat at the Gfinity Arena. The Americans are coming. 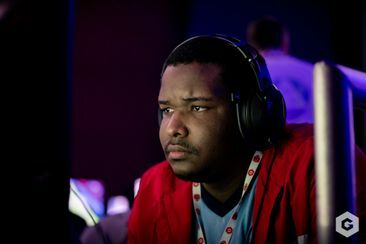 Christopher ‘NYC_Chris’ Holly is emerging as a big name in FIFA esports, and you feel the New York City player is close to going deep into a Global Series tournament. Chris couldn’t hold on to claim the eMLS League Series One title, losing to Gordon ‘FCC Fiddle’ Fiddle, but did make the last 16 in the FUT Champions Cup January over in Bucharest. Certainly a dark horse this weekend. Given his start to the FIFA 19 competitive season, it may not be a huge upset if Marcus Gomes went the whole way in London, but he is yet to win any serious silverware. The Australian finds himself in tenth place on the Global Series rankings, having already picked up 1000 wins on Ultimate Team this year. He did crash out of the group stages at the last Gfinity FIFA Series event in January, but still managed to pick up a victory over former world champion Spencer ‘Gorilla’ Ealing. If there’s a man who knows the Gfinity Arena, it’s Simon ‘Roma Zimme’ Nystedt. The Swede is a back to back Gfinity Elite Series champion, winning the single-player format in Season 3, before teaming up with Damian ‘Damie’ Augustyniak in Season 4 to take the brand new two-player title. With the bonus of the AS Roma Fnatic team being based in London, the conditions are absolutely perfect for Zimme. All the action will take place February 2nd-3rd, and you can watch it live online on your channel of choice; either YouTube or Twitch. Or if you prefer to see your FIFA heros up close in person, you can grab a FREE ticket and join us at the Gfinity Arena London!